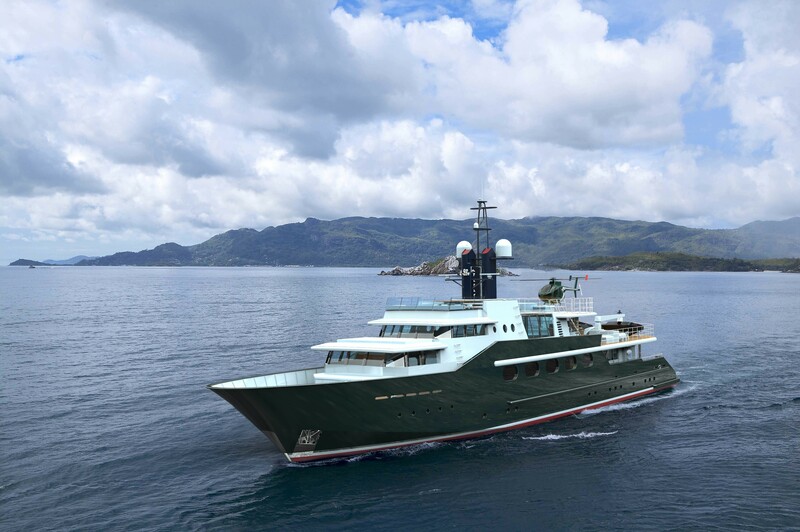 Measuring 49,45 metres (162'3''), the Feadship charter yacht HIGHLANDER ( ex The Highlander) was originally launched in 1986 for Malcolm Forbes and, thanks to her distinct green hull, represents one of the most instantly recognizable superyachts around the world. 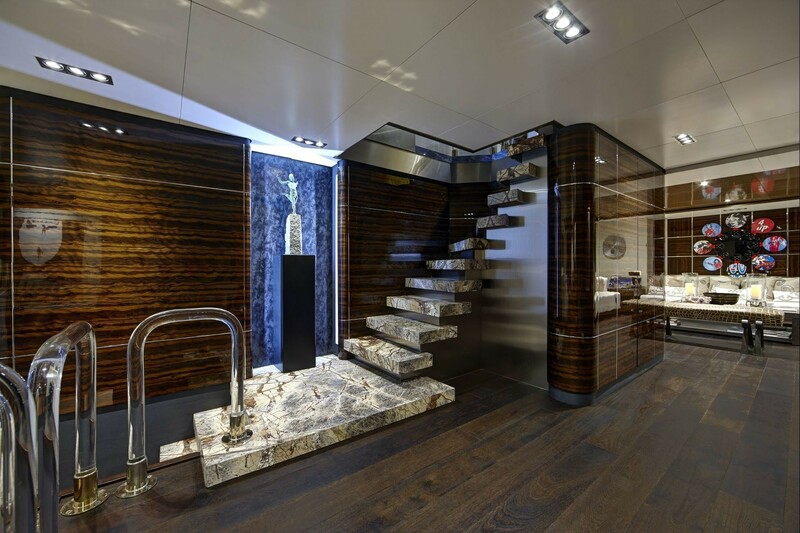 Superyacht HIGHLANDER received a comprehensive refit by Derecktor shipyard in 2014, fully respecting the groundbreaking exterior lines of her legendary designer Jon Bannenberg. 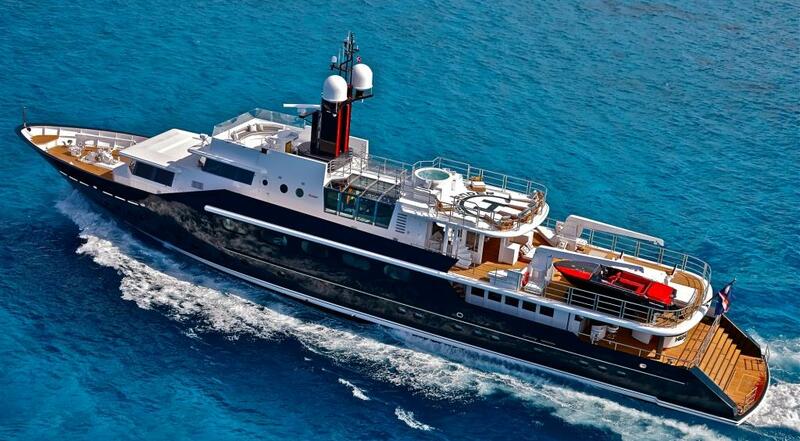 She is available for Mediterranean yacht charter vacations. 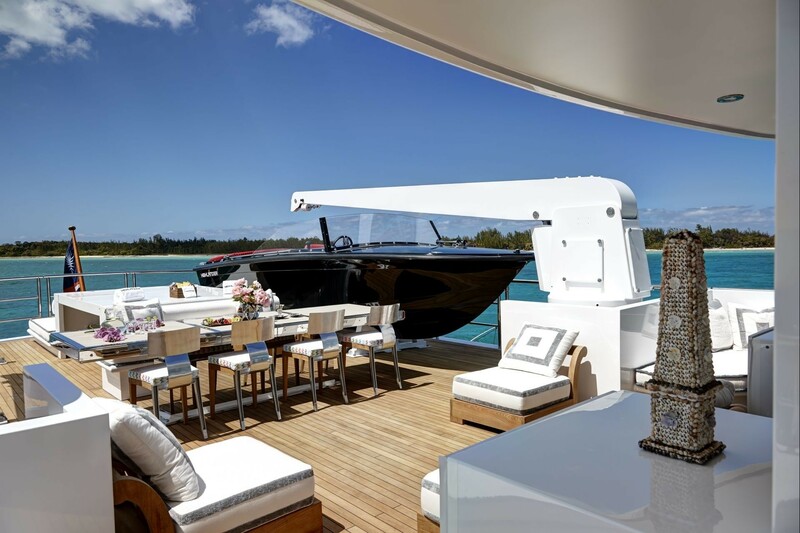 Originally, the luxury yacht HIGHLANDER was built with a steel hull in order to suit the need for long range cruising to destinations such as China, Alaska or Bora Bora. 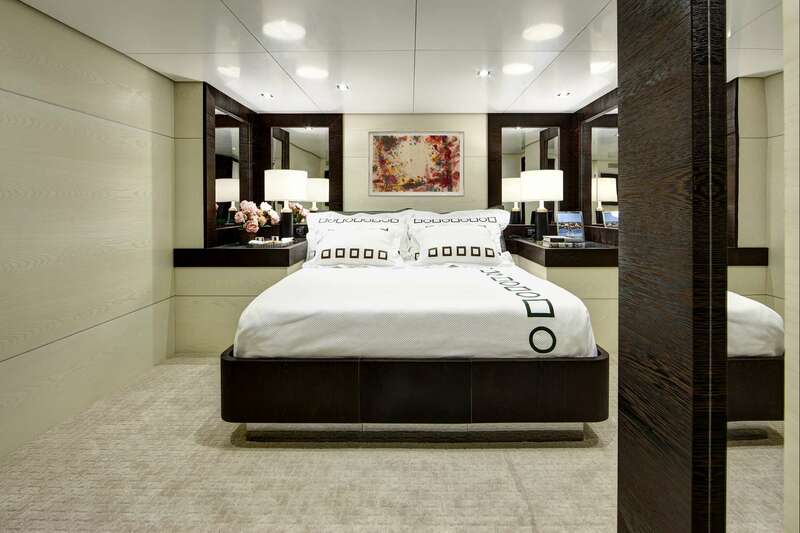 Her original layout included a large reception and vast conference areas, allowing Forbes to entertain countless dignitaries, heads of state and business leaders in supreme style. 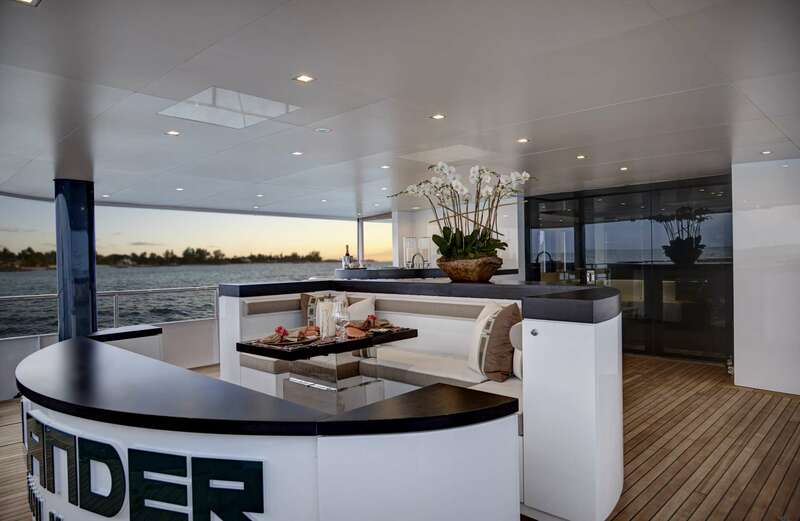 After more than a quarter of a century, The Highlander yacht was offered for sale. 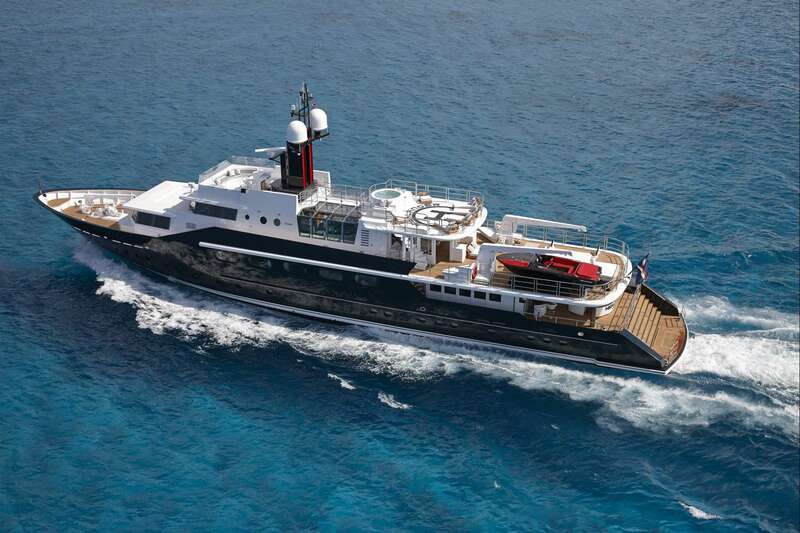 In 2014 she was re-launched following an extensive refit by Derecktor. 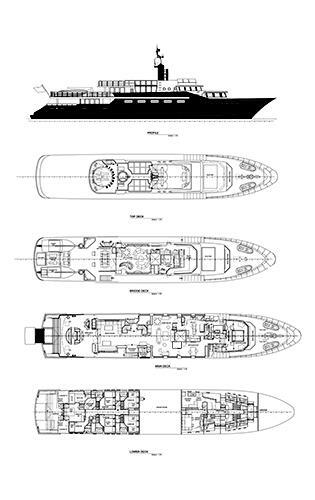 HIGHLANDER’s profile was modernized taking advantage of her representative angular lines originally designed by Bannenberg. 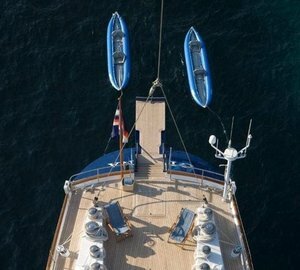 Spaces were adjusted to suit the needs of her new Owners, their family and charter guests. 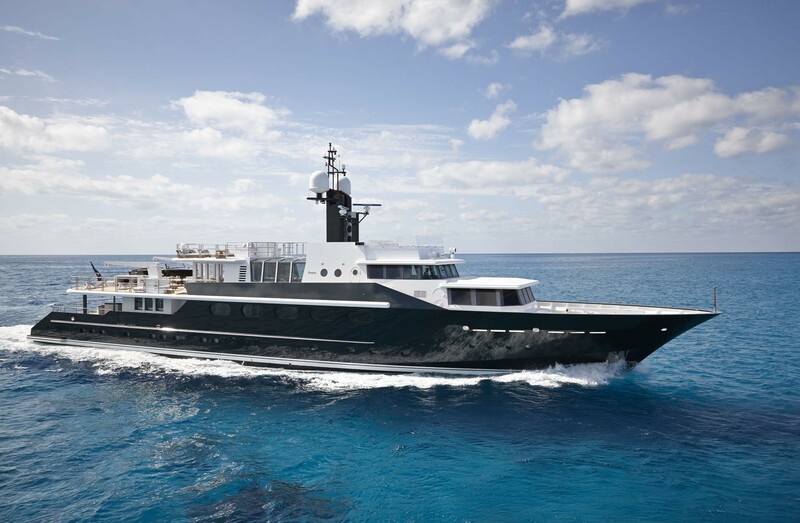 The enormous refit project included upgrading and modernizing all the mechanics while extending the stern by 12 feet to create a contemporary transom and accommodate a lifting transformer platform. 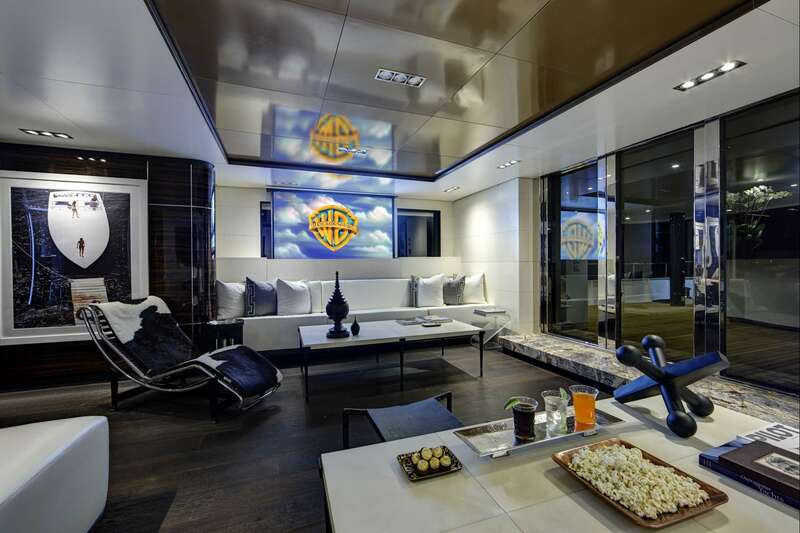 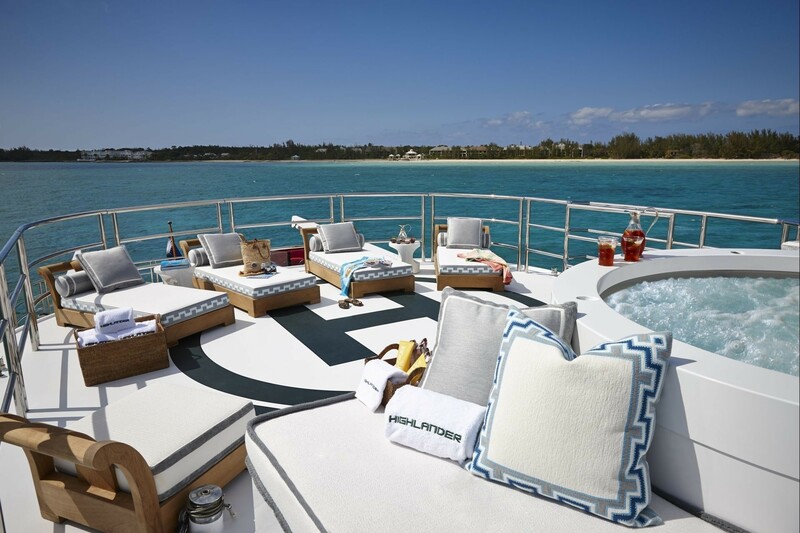 Charter yacht HIGHLANDER’s top deck was also extended forward, creating an excellent al fresco relaxation area. 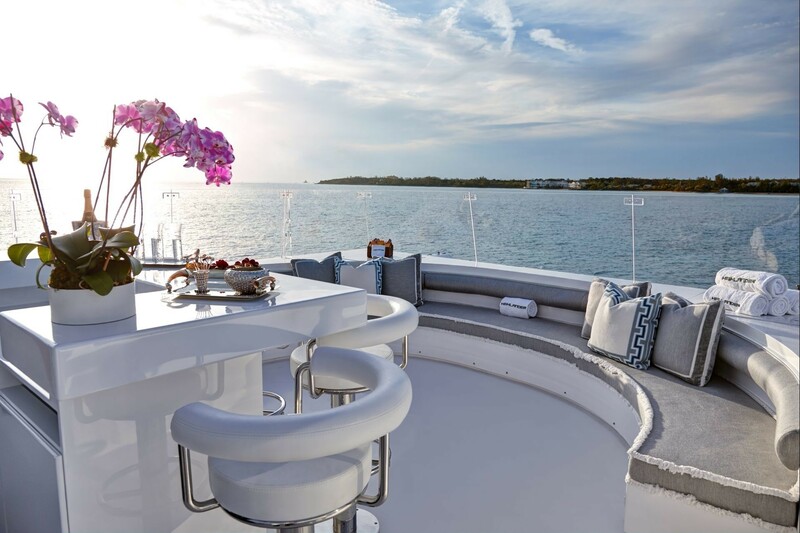 Luxury superyacht HIGHLANDER features a beautiful new interior, which opens up the interior spaces to play to the strengths of the vessel and transformed her from a corporate entertainment boat into a spectacular yacht for private use and unparalleled yacht charter. 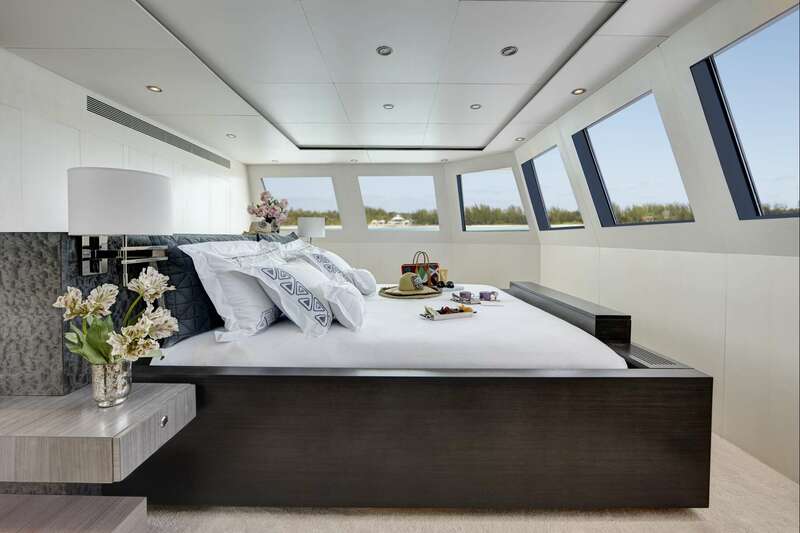 The entire main deck of HIGHLANDER yacht was stripped back, floors, ceilings, and walls removed and beautiful white Angire and dark wedge interiors installed. 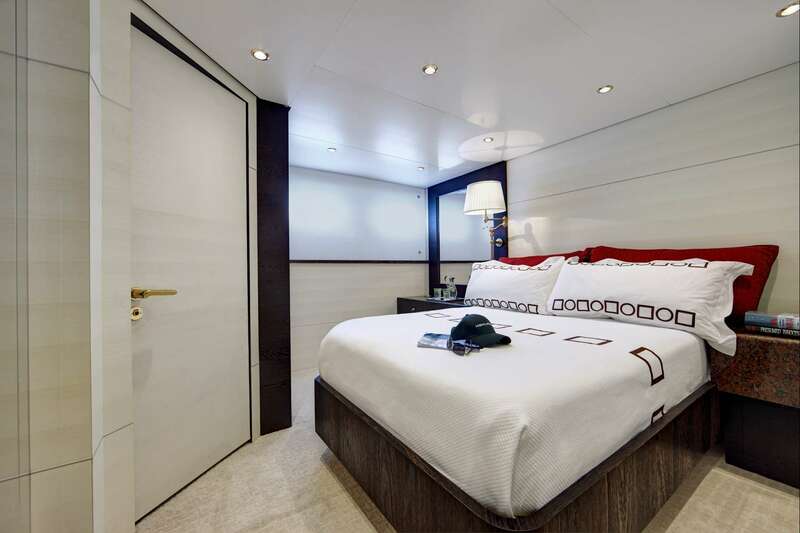 The new Master stateroom is situated forward, boasting two new master bathrooms. 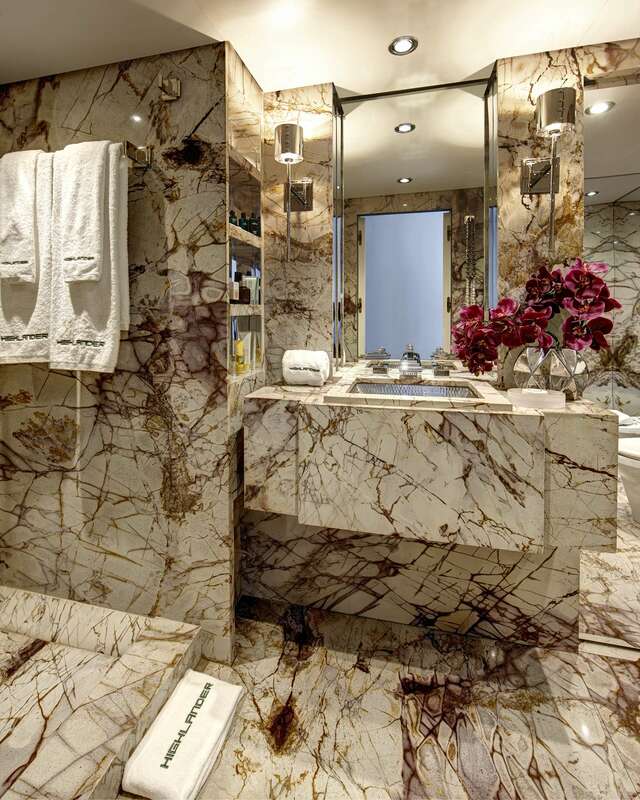 There are six guest suites with en-suites, each with its own en suite bathroom. 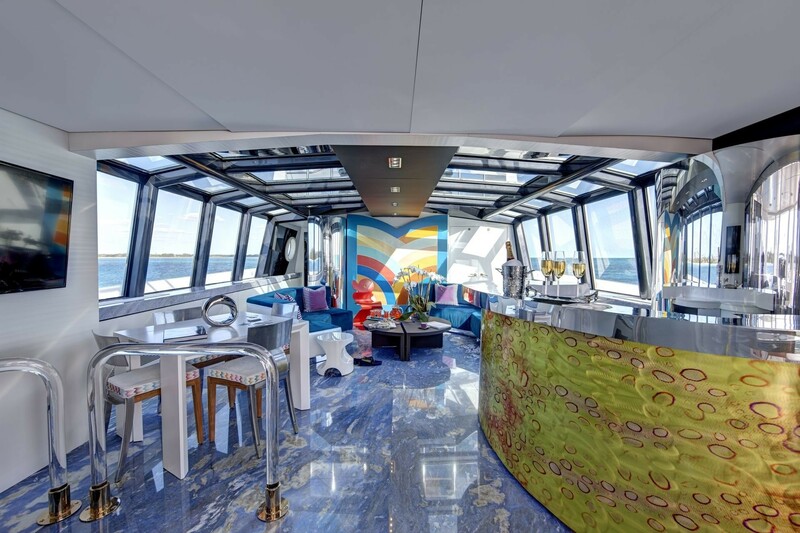 High technology has been added from Quantum zero-speed stabilizers, an all-new pilot house, extensive WiFi facilities & new audio video system to the latest eco-friendly sewage system, LED lighting and new air-conditioning. 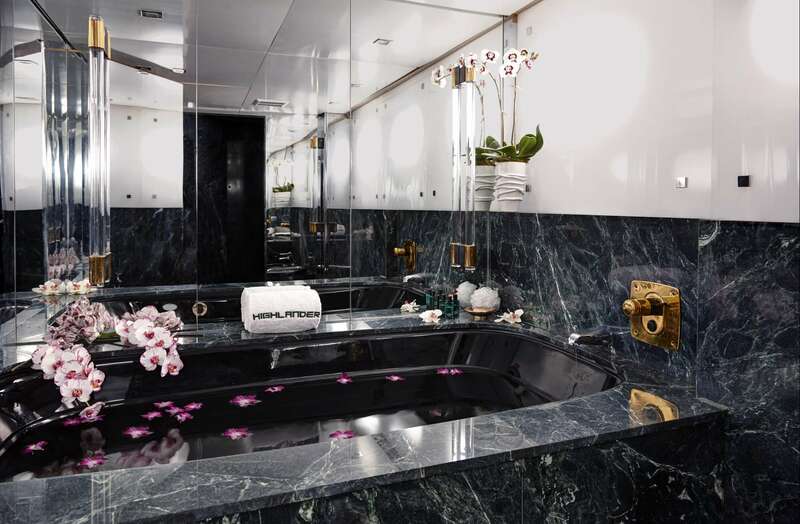 The original Malcolm Forbes’ custom made cigarette boat has been entirely refitted. 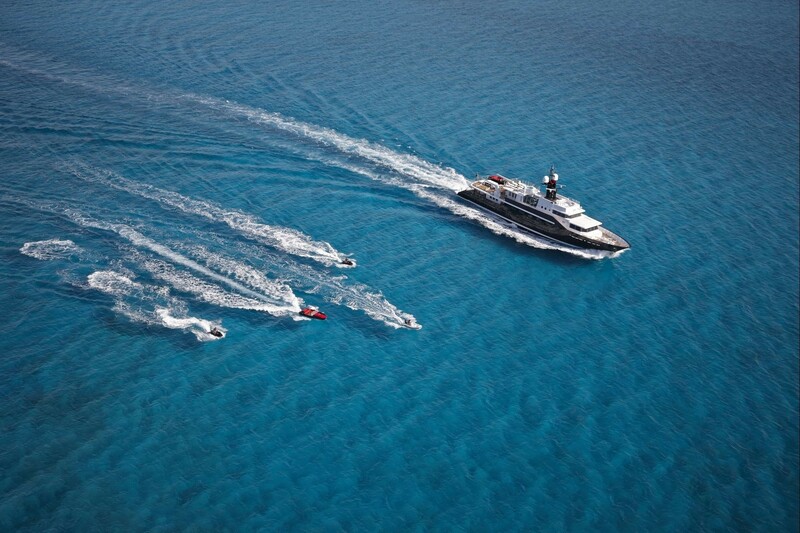 She was painted jet black with swaggering bold red stripe. 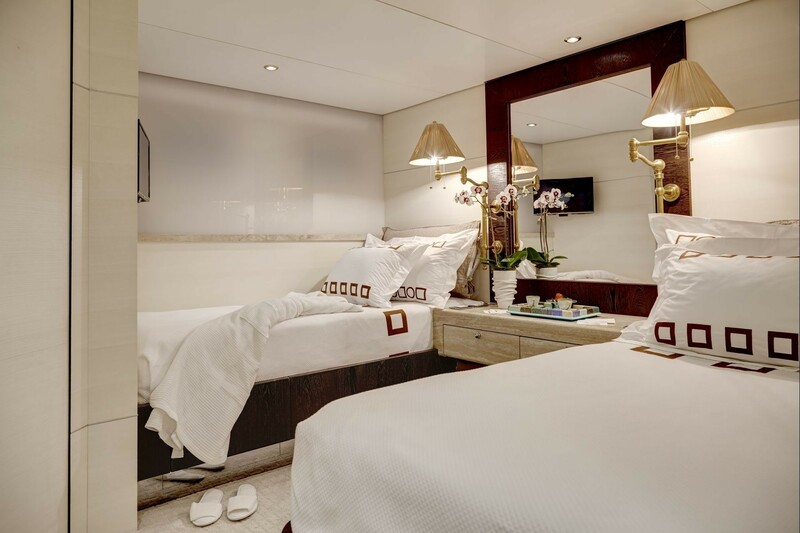 Luxurious accommodation on board HIGHLANDER superyacht is offered in one Master Stateroom with two private bathrooms, as well as six additional guests suites, each with their own en-suite bathroom.